The Standing Stone: Carrowkeel, Cairn K, Co. Sligo. Carrowkeel, Cairn K, Co. Sligo. 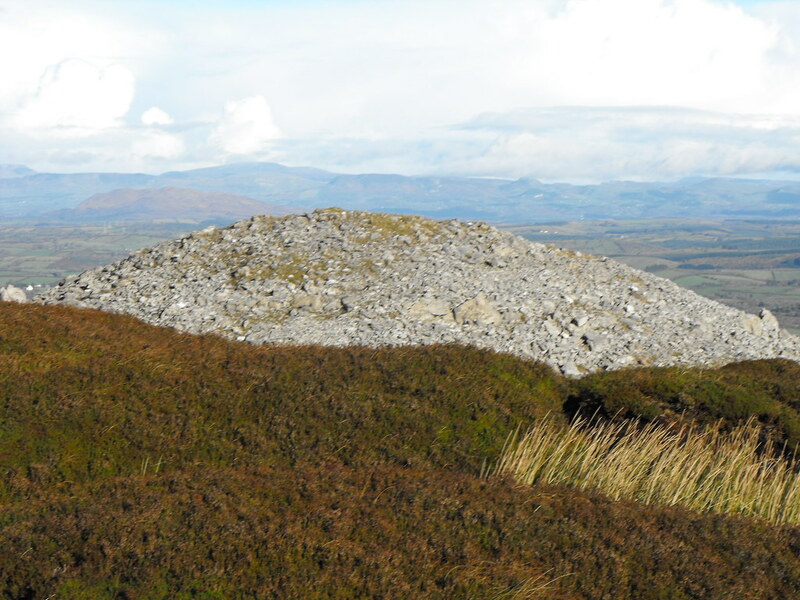 Location – This tomb sits at the commanding position at the top of the Carrowkeel complex. A GPS is always advisable here. I have GPS co-ordinates for this site. Because of the bad weather my books are somewhere else but I will be getting them back soon and will update the co-ordinates then. Description and History – This tomb is possibly the best of the complex. Only cairn G rivals it. Set right on top of the hill this tomb offers some fantastic views of the surrounding landscape. Unlike cairn G this tomb is a little easier to get into but still requires crawling. Again I suggest going in feet first and on your back to save your knees from the stone floor. The entrance is somewhat unassuming and you expect to find nothing special inside but once you get inside you find yourself stood in a chamber some 3m tall and corbelled. The three sub-chambers form a cruciform shape and it is possible to get right inside all of them. 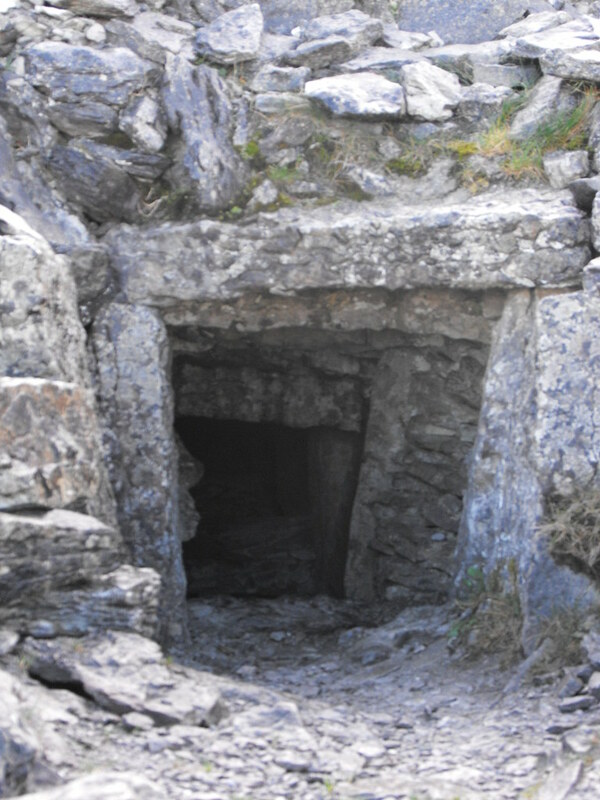 One chamber has a large triangular stone which draws your eye and it would be reasonable to suggest that it carried some meaning...which we can only really guess at now. 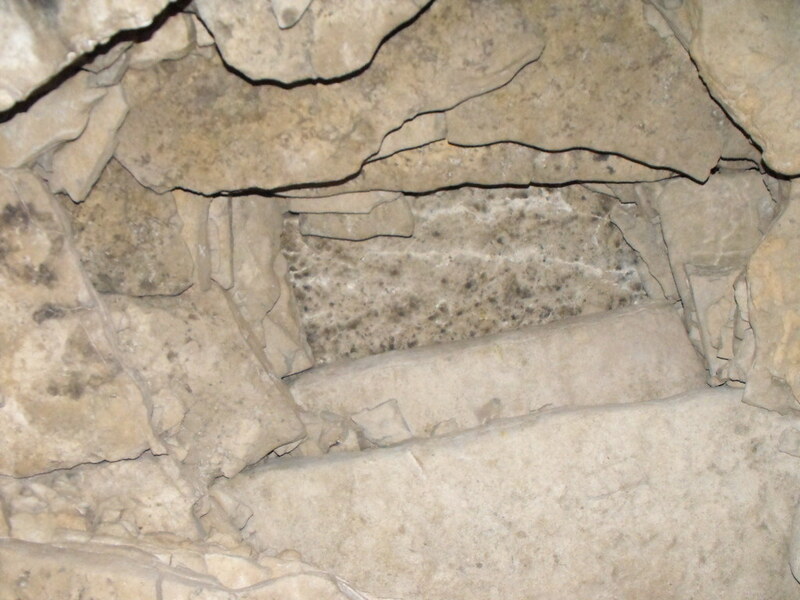 In the rear chamber cremated bone fragments can still be seen in places. Please leave these fragments alone and do not touch them. They have lasted thousands of years precisely because they have been left alone. 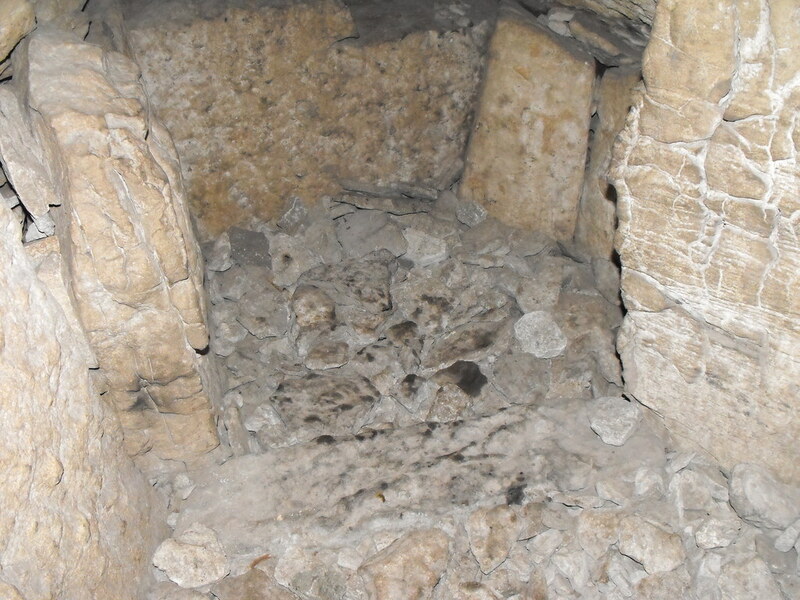 The only bad thing I have to say about this tomb is because of visitors to here. I found the remains of many tea light candles and some general litter. Please don’t litter these fantastic tombs and don’t light candles because the wax is very hard to remove from the stones without damaging them. If you visit here and find litter I would encourage you to take it away also. 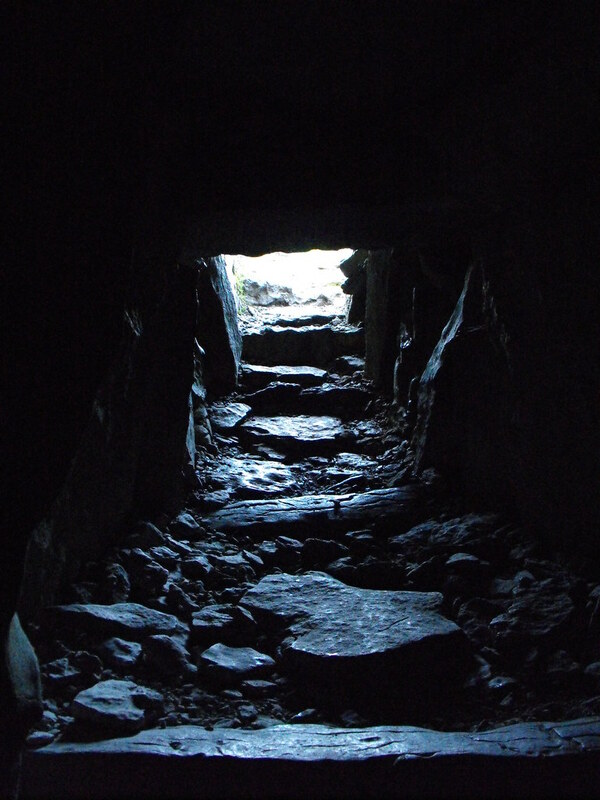 This is truly one of Ireland’s greatest tombs and worth every step of the climb. 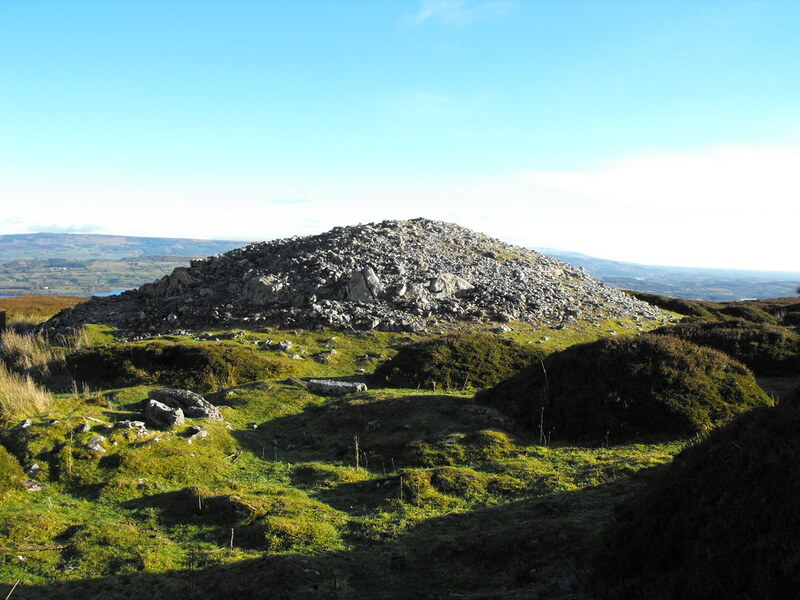 Difficulty – As with all sites at Carrowkeel it is tricky and requires your full attention. Back to the Carrowkeel menu. I'm not happy with the pictures of this tomb so I will replace most of them when I go back to see more tombs. 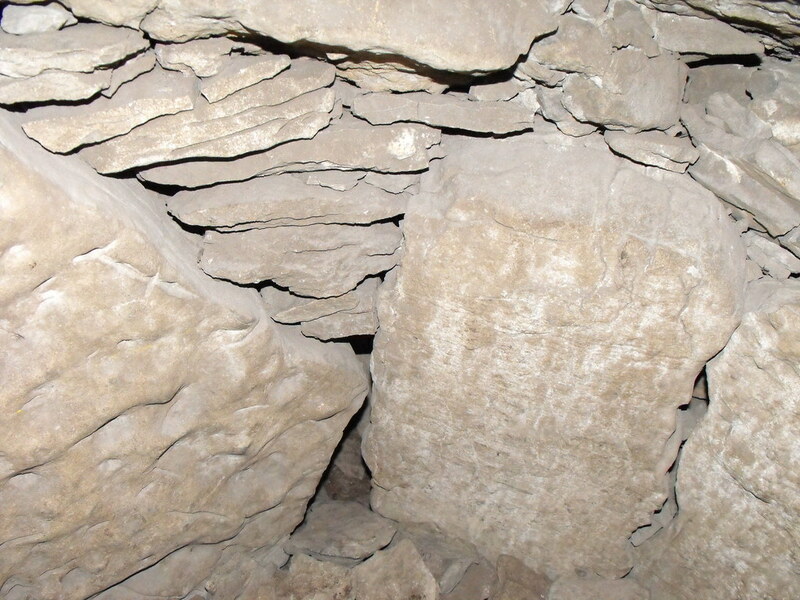 This dry stone walling technique is truly phenomenal to have lasted over five thousand years. 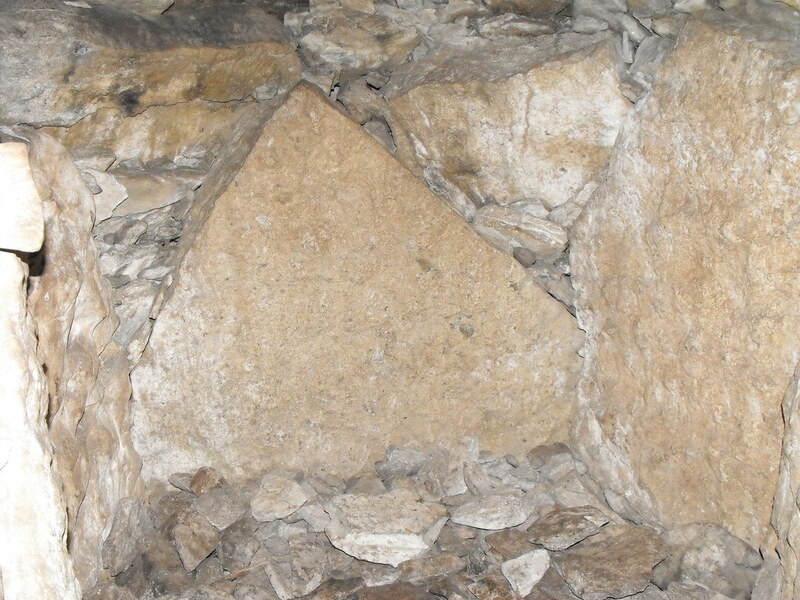 This triangular stone at the rear of one of the sub-chambers really stands out. Looking up at the corbelled ceiling. Looking out of the darkened chamber. 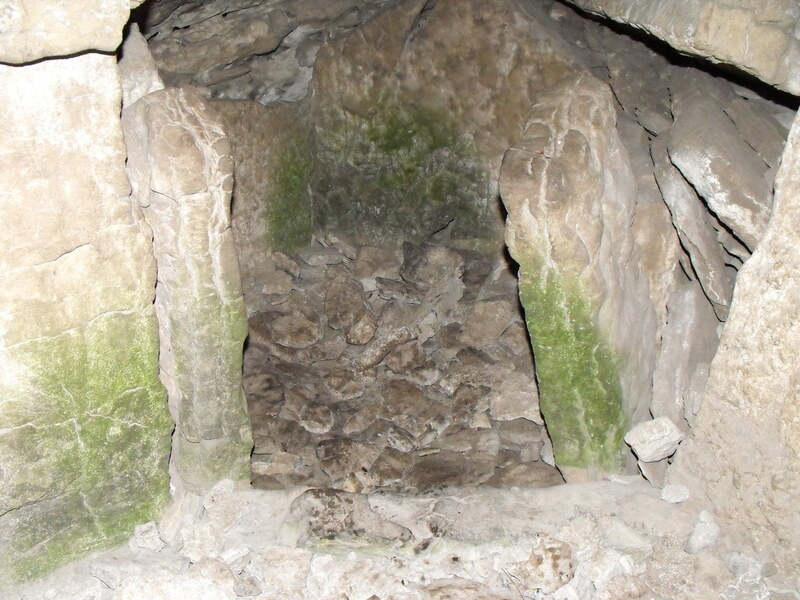 Bone fragments in the rear chamber. 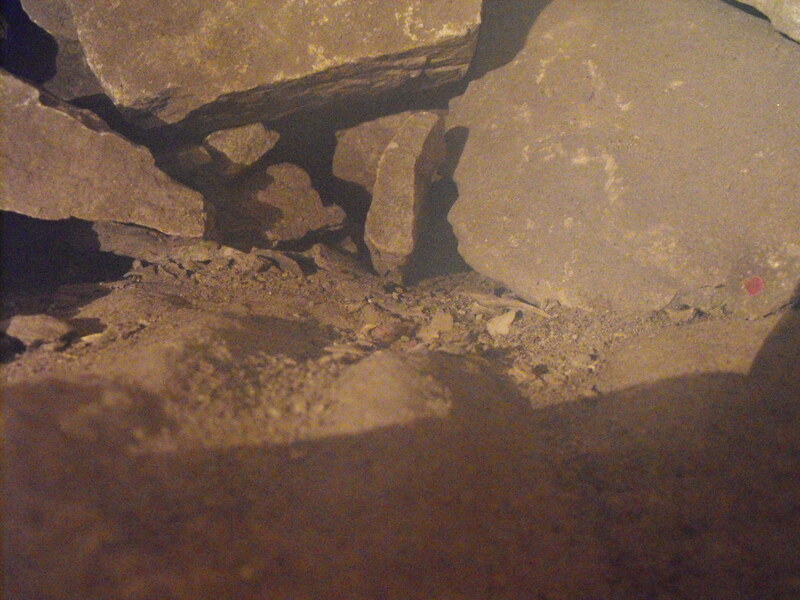 Hard to spot but they are in the middle of the photo and are a whiter colour than the surrounding stone.